Many of today’s disciples will recognize Samuel’s famous stone, Ebenezer, from 1Samuel 7:12 Then Samuel took a stone….and called the name of it Ebenezer, saying, Hitherto hath Jehovah helped us. The stone was named the “stone of help” to be a continual reminder to the Israelites of the help God had provided for them in their battle against the Philistines. Joshua 24:26-27 And Joshua wrote these words in the book of the law of God; and he took a great stone, and set it up there under the oak that was by the sanctuary of Jehovah. And Joshua said unto all the people, Behold, this stone shall be a witness against us; for it hath heard all the words of Jehovah which he spake unto us:it shall be therefore a witness against you, lest ye deny your God. The stone that Joshua erected obviously wasn’t an actual witness, but was a reminder to the people to not forget God. In Deuteronomy the Israelites were told that they should be continually reminded of God and what He had done for them “lest they forget the Lord”. Deuteronomy 6:6-12 And these words that I command you today shall be on your heart. You shall teach them diligently to your children, and shall talk of them when you sit in your house, and when you walk by the way, and when you lie down, and when you rise. You shall bind them as a sign on your hand, and they shall be as frontlets between your eyes. You shall write them on the doorposts of your house and on your gates. And when the Lord your God brings you into the land that he swore to your fathers, to Abraham, to Isaac, and to Jacob, to give you—with great and good cities that you did not build, and houses full of all good things that you did not fill, and cisterns that you did not dig, and vineyards and olive trees that you did not plant —and when you eat and are full, then take care lest you forget the Lord, who brought you out of the land of Egypt, out of the house of slavery. Somewhere along the way the practice of erecting visual reminders of God and His blessings fell by the wayside, and I think it did to our detriment. So what should we do today? I don’t think that piling up rocks in our front yard is expected of us, but we can apply the same concept to our lives today. 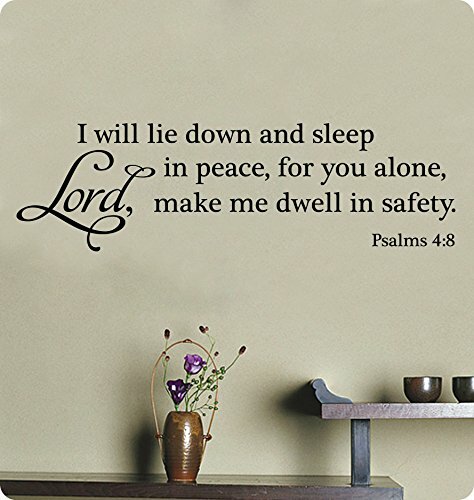 What if before we went to sleep every night, the last thing we saw was a reminder that we can sleep peacefully because of the safety that God provides for us? 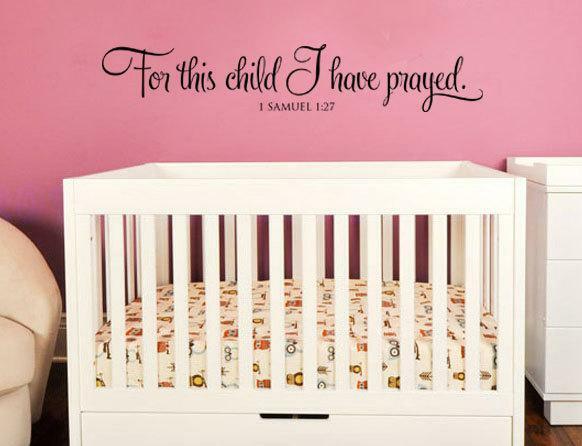 What if our children grew up knowing that since before they were born, we had been praying for them? Where would that teach them to put their faith? What if our daughters grew up knowing that they’re beautiful, not because of what they world thinks or what boys tell them…but because of WHO created them and how much He loves them? This picture was taken in the home of some great friends of ours. What greater message can we proclaim to everyone who comes into our home than that we’re redeemed? We’ve been purchased by the sacrifice of Christ and that “redeemed” is the one word we’d choose to describe our lives and our family. We can raise our own Ebenezers today, “lest we forget”. They’ll be a message to not just ourselves, but to the world too. I have set monuments in rememberance of God’s blessings many times but I like your ideas.